From the mid 12th century until 1856, a massive oak tree stood in Hartford, Connecticut. The tree was planted by Native Americans as a ceremonial symbol of peace and it later went on to have significant meaning for early American settlers - hiding the Charter of 1662 within a cavity in the oak when King James II came in search of it. This legendary tale prompted the “Charter Oak” to become known as one of our country’s greatest symbols of American independence. Foundation Cigar Co. draws inspiration from this peculiar oak for their highly anticipated third release. Nick Melillo, creator of Foundation, is a native to the Connecticut region and not-so-coincidentally has become known over the years for his skill in blending Connecticut Broadleaf-wrapped cigars. 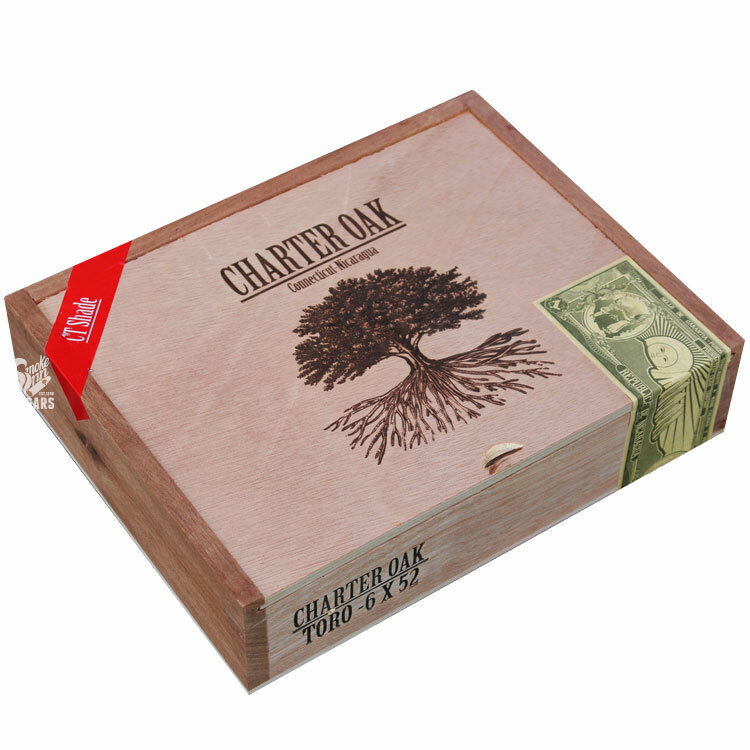 Charter Oak brings Nick back to his hometown, creating two Connecticut smoking experiences for smokers who enjoy either a mild, or fuller profile. Teaming with the famed Tabacalera Fernandez factory (owned by AJ Fernandez), Nick has crafted two different blends, both using Nicaraguan tobaccos at their core. On the lighter side, there is an Ecuadorian Connecticut shade-wrapped blend. For the maduro, Nick uses his signature Connecticut Broadleaf. The best part is, this clever project comes in at a price near-any smoker can appreciate - allowing for a more budget-friendly, “daily smoke” from one of the industry’s most exciting Master Blenders!